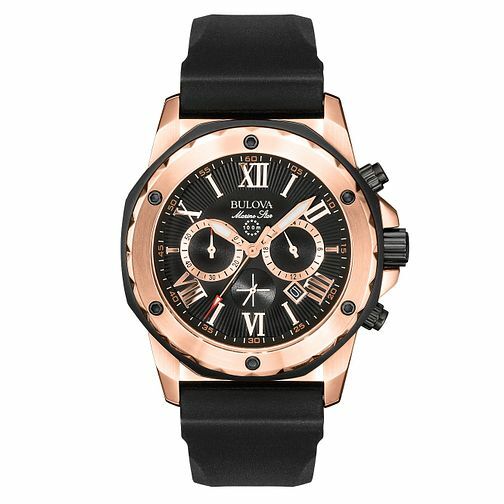 Bulova offers robust timekeeping with this black rubber strap watch from their Marine Star collection. Featuring a bold black dial with rose gold tone hands and Roman Numerals. Powered by an quartz movement and water resistant up to 100 metres, this stylish watch is perfect for everyday wear.